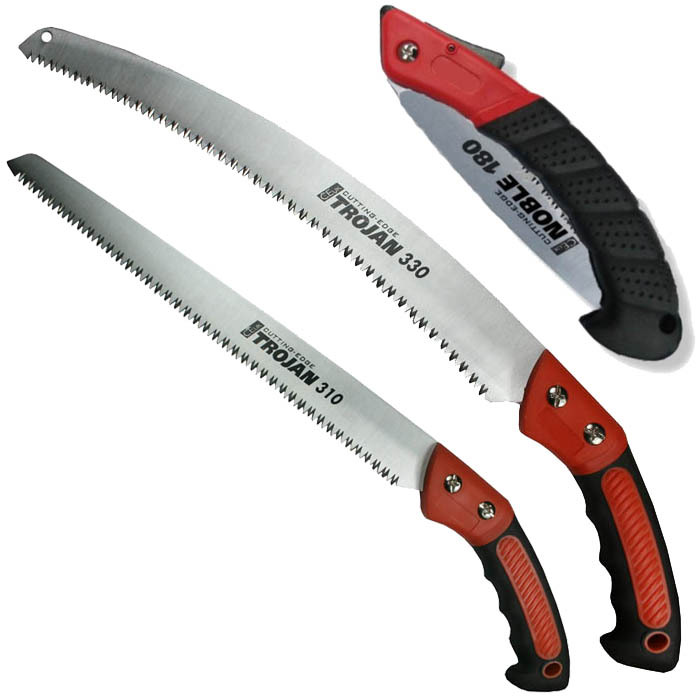 Now available from ForestAndArb.com, a kit deal featuring 3 of the favourite sizes of Cutting Edge Saws. All featuring a high carbon steel blade for maximum wear resistance, as well as being able to keep their edge very well. The Noble F-180 folding saw is a very useful peice of kit to keep in a pocket for smaller pruing jobs, whilst the straight Trojan T-250 and curved Trojan 300 provide the heavy duty ability for bigger jobs, whatever the circumstance. The Trojan T-250 and 300 both come with a secure sheath which can secure to belts or harnesses easily.